Summer is on our doorstep Babyologists, and if you’re expecting your bundle of joy in the sweltering months, you’re going to want to work on your onesie collection. Lucky for summer babes, Organique Bebe has the most stellar onesie collection I’ve ever laid eyes on. Here you can snap a different one up for every day of the week! 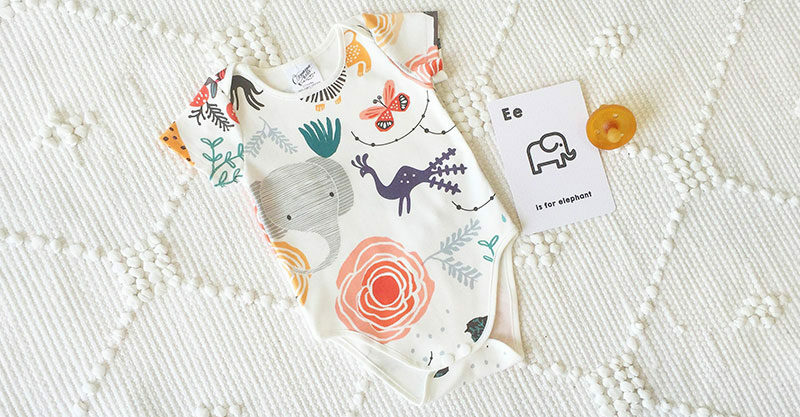 Organique Bebe is a one-stop-shop for the hippest organic cotton baby onesies getting around town. There’s no compromising on style for these baby wardrobe basics, this collection covers everything from fancy florals to toucans and tacos. Even chippies, in case you want fries with your order! I’m not one to pick favourites (ha, I jest!) but the Monochrome Frenchies, Prickly Cactus and Fox In The Forest onesies are super sweet and perfect for those long hot summer days. Onesies are available in sizes 00000 to size 2. Super soft, short sleeved onesies are priced $35 each. Order direct from Organique Bebe.